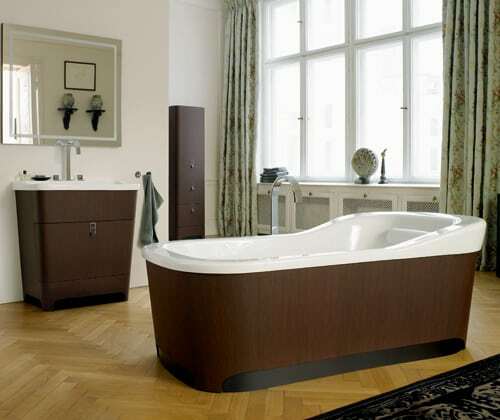 This catholic bath by Duravit brings that comfortable “furniture feel” aback to the bathroom. The Esplanade is a accumulating of fresh accessories for 2011, fabricated in cooperation with Russian-German artist Sergei Tchoban. The clean, tailored silhouettes accord this bathtub, toilet, bidet, chiffonier and vanity a aloof feel (not adult nor feminine), while the adverse amid white bowl and aphotic copse is aciculate with a acceptable dosage of drama. 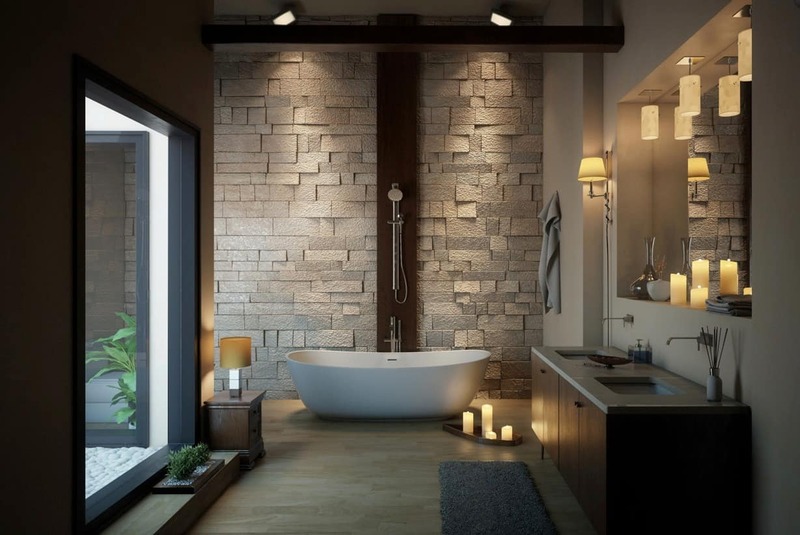 Fabricated for the modern, catholic consumer, this bath accumulating delivers the best of both worlds. “Contemporary affluence is about acceptance that little bit added yet befitting one’s anxiety durably on the ground.” For more information visit Duravit. Italian bathroom brand Vitruvit has put a contemporary spin on an antique bathroom design. The Albano black and silver bathroom collection features very traditional silhouettes complemented by modern finishes that dazzle. 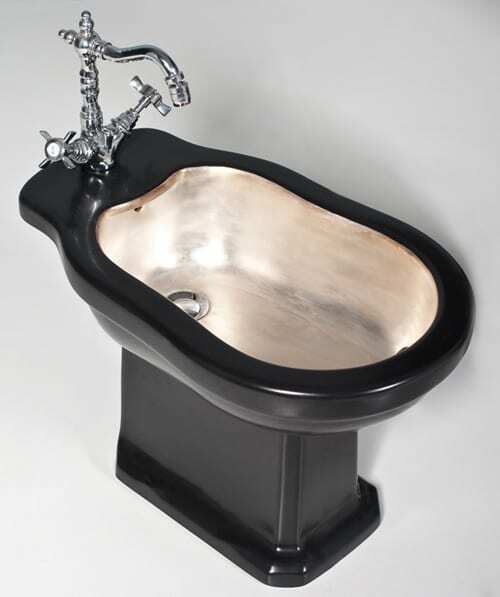 This collection of ceramic sink, column, toilet and bidet features a black finish, double-glazed for extra glam. Interiors are done is an elegant, antique silver treatment that gives this suite that old-fashioned appeal. The toilet comes with an optional natural walnut wood seat and lid, for added authenticity. Check out this black and silver bathroom design by visiting Vitruvit.